We offer flexible approaches to financing prenatal and birth care. We offer a cash discount for early payment at 36 weeks and we use a billing service to assist our clients with private insurance reimbursement. 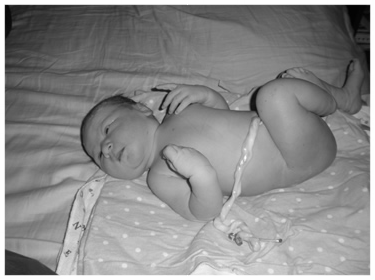 Full Moon Midwifery provides complete prenatal, birth and post-partum care. We spend time discovering who you are and the needs you have in one-hour prenatals that begin when you contact us. We see you once a month until 32 weeks, every two weeks until 36 weeks and every week until the birth of your baby. During these visits we assess your well-being as well as that of your baby’s. We assess your physical well-being by taking blood pressure and pulse, asking about physical discomforts, checking the urine, giving information about prenatal tests that are available, and discussing any laboratory results we may have. The baby's well-being is directly connected to yours. We feel for the position of the baby, check for normal growth and listen to the heartbeat at each visit. While these assessments are vital we spend a majority of the visit getting to know you. We are interested in how this pregnancy affects you and the needs you have to make your experience fulfilling. We strive to include your partner and children in your care. We will find answers to the questions you have and be a resource for needs that come up. We are open to hearing your concerns or worries and helping you use your own resourcefulness in finding information, solutions or in discovering the trust you have within. Your desires for the birth and our care for you are discussed and options are given. We hope to create an atmosphere of trust and openness between us. 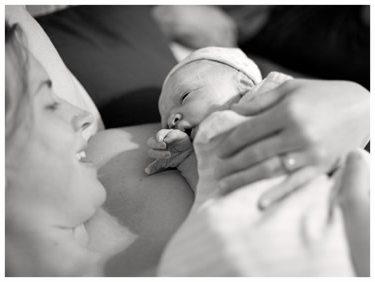 We use the Midwives Model of Care™ in our approach to your physical and emotional well-being. As labor begins, we are in contact with you by phone. We arrive at your home upon your request. When a woman is in early labor, we send one of the birth team to give physical and emotional support. In doing so we can spell one another and ensure that we will be rested and alert for active labor (in the event of a long labor). We remain with you through active labor, the pushing stage, and at least 2 hours after the birth to ensure that both you and the baby are doing well. 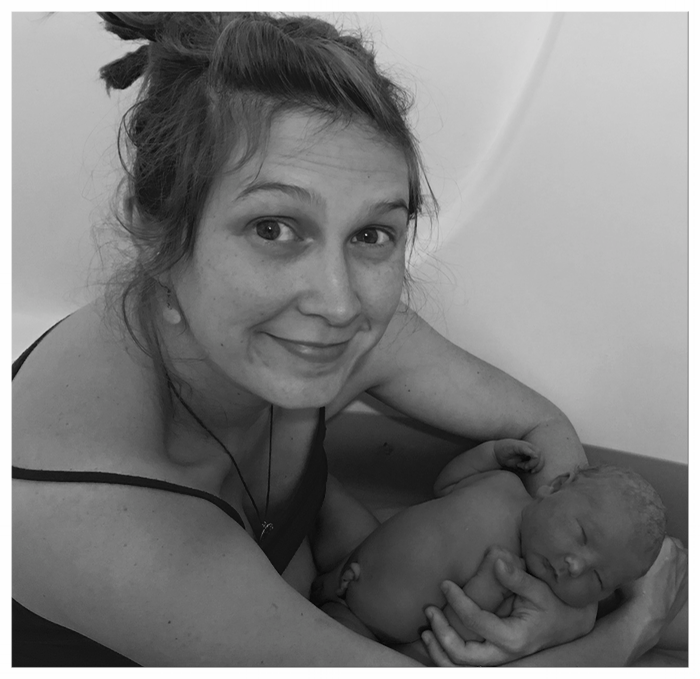 The midwives of Full Moon Midwifery provide information regarding other support services such as; yoga classes, birthing tubs, birth classes, massage; acupuncture, chiropractic and naturopathic care. We also consult with a variety of healthcare workers such as Certified Nurse Midwives, Obstetricians, Perinatologists, Nurse Practitioners and other Licensed Midwives when needed. We sell organic, fresh, pregnancy and nursing teas, postpartum sitz baths, and herbal salves all made by our apprentice. We also provide high quality prenatal vitamins, probiotics and other supplements to support our clients. In early postpartum a thorough newborn exam is performed, we ensure nursing is established, and your vital signs are monitored. We give comprehensive postpartum instructions and ensure mom and baby are stable before leaving your home. Home postpartum visits are as follows: within the first 36 hours, at 3 days, 1 week, and 2 weeks. The final visit is at 6 weeks in our office. During these visits we talk about the physical and emotional aspects of the postpartum and the newborn period. We acknowledge that, while an incredibly joyous time, early parenting can be challenging and even frightening for some women. We ensure breastfeeding is going well and mom is feeling supported in this role. We follow baby’s growth careful to make sure he or she is thriving. We offer resources of lactation support when issues go beyond our knowledge or experience. We maintain a 24 hr/day on-call availability when emergencies and concerns arise.